Look, we knew that Dilly Dilly wasn’t meant to be one of those things that lasts a century. The Bud Light slogan, shouted by people living in the medieval era, was a beloved catchphrase of beer drinkers, horrible frat bros, and awkward folks just trying to connect with the dang culture alike. But I never thought he would go out with quite this little dignity — burnt to death in somebody else’s commercial during the Super Bowl. it’s humiliating, really. But hey, the Dilly Dilly knight had to pay for entertaining America so, and being burnt alive by the Game of Thrones dragons is a very exciting end to a knight who is meant to sell beer. He gets to be in a story of actual consequence now! Hey! 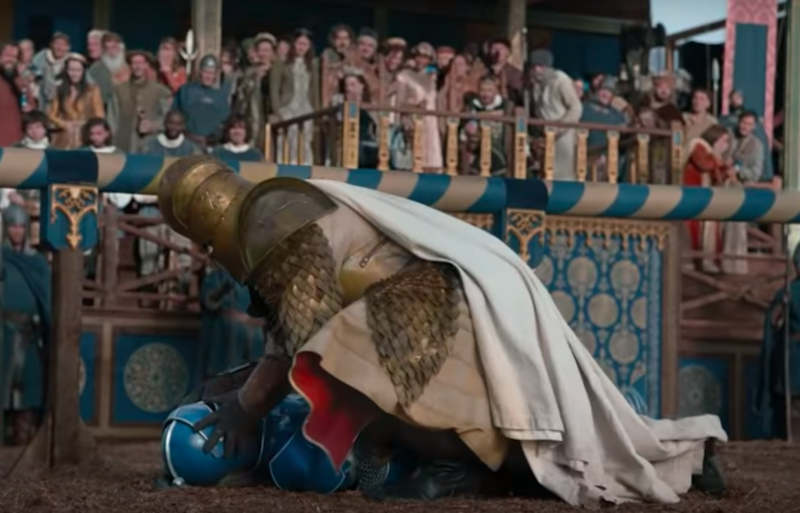 The ad aired during the Super Bowl and was one of the few exciting ones of the knight. It started out normal enough, as we saw our generation’s Allan Ginsberg, the Dilly Dilly Knight, approach, hearing the cries of his beloved catchphrase, “Dilly dilly”. 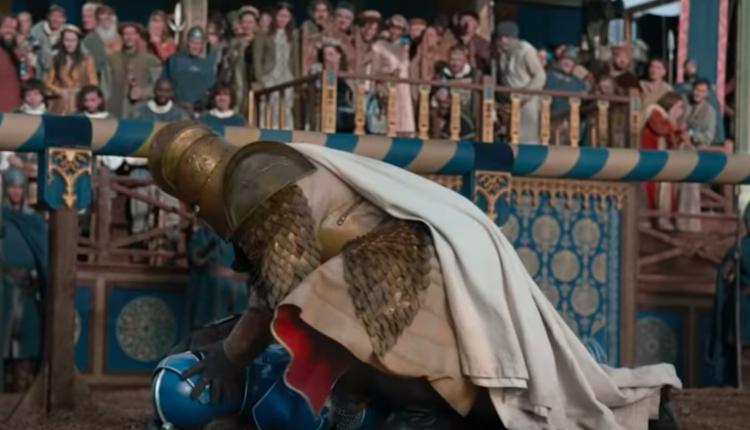 And if you roll your eyes and go, “Ugh, more trash for the senses”, then take a breath and then watch as the Dilly Dilly knight is violently beaten by a knight almost twice his size. At first you think the Dilly Dilly Knight will get powered up by the power of a Bud Light or something, but as the beating continues and grows more violent we uhh… we sense something is off. This isn’t the fun lighthearted Dilly Dilly commercial of old… which is when we discover we’re more right than we could imagine. As the familiar chords of the Game of Thrones theme begin to pipe in through the sky, a familiar dragon soars through the sky and burns the country side to ashes, flying off into the distance as HBO advertises Game of Thrones’ return in April. The ad was co-directed by Spencer Riviera, who created the original Bud Knight campaign, and David Nutter, who directed Game of Thrones’ gory “Red Wedding” episode. So don’t worry, just know the Dilly Dilly Knight got the worst death that cinematic money could buy. Rest in Peace, Dilly Dilly Knight. You wanted us to drink frosty light beer suds, and in the end sold us on a prestige fantasy drama. In the end, we were sold to, and that is what matters most. Thank you, advertising, thank you. What do you think of the article? Let us know in the comments or on Twitter at @WhatsTrending.